Everyone wants a proper output if money has been invested. Similarly when it comes to cost-saving regarding mechanical needs, GTH automotive is the best mechanical workshop situated at Dandenong and Noble Park. Basically, in-house disc machining provides solution related to car brakes, the experts at GTH automotive advice customer not to invest in changing the disc drums if it is not required. 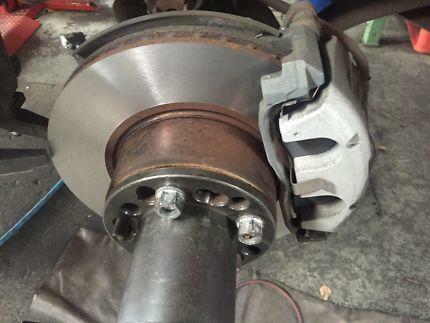 However, depending upon the level of repair few brakes do need replacement or change. Understanding the process is the key factor for offering a proper outcome wherein our mechanic specialist goes in depth of the subject and takes care of the whole issue by restoring the surface of drums and discs so that an adequate level of friction can be generated which enables the brake pads to function as it renders dual advantages. So, all you need to do is trust on the GTH automotive Car mechanics and suspension specialist to resolve the wear tear conditions of your motor and take benefits of the transcended machinery methods which will take the maintenance and repair services to an absolute level of peak efficiency.